Welcome to Cub Scout Pack 66, we are located in Manahawkin New Jersey, Ocean County. We are part of the Jersey Shore Council of the Boy Scouts of America, and in the Jersey Devil District. Our pack, and den's meet at the St. Mary's Parish Center in Manahawkin. The attachment below is the youth application. 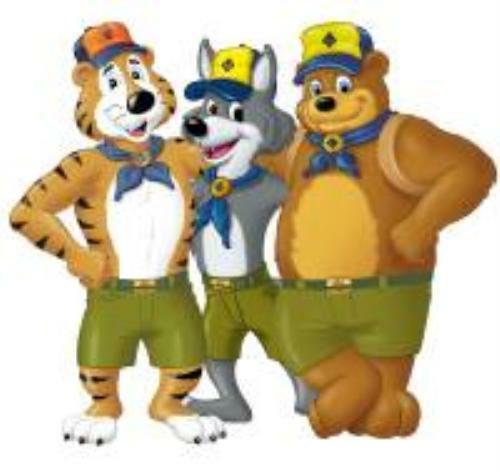 In 1930, the Boy Scouts of America created a new opportunity called Cub Scouting for boys younger than Boy Scout age. A year-round, home-centered program used by chartered organizations, Cub Scouting emphasizes involvement between boys and parents, adult leaders, and friends. In the multidimensional plan of the Boy Scouts of America, Cub Scouting is where it all begins. Currently, it is the largest of the organization's three membership divisions. It is the mission of the Cub Scout Pack 66 is to serve others by helping to instill values in young people and to prepare them to make ethical choices during their lifetimes and achieve their full potential. The values we strive to instill are based on those founding the Scout Oath, the Scout Law, the Cub Scout Promise, and the Law of the Pack.